Because we receive more and more information these days, we need to optimize how to get, filter, process and store this information somehow. In this blog we’ll introduce a technique called Visual Harvesting or Visual Recording. Acquiring interesting information is already described in a previous blog, ‘How to keep up. Social apps that boost your creativity‘. This blog will focus on a better way to process and store the information. 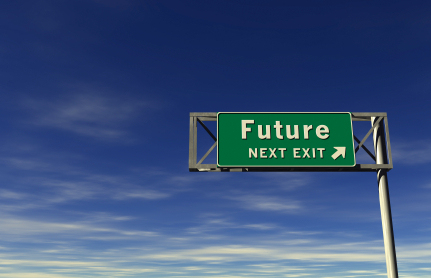 I am talking about a new trend in our business landscape, called Visual Harvesting or aka. Visual Recording. The technique is promising because of the picture superiority effect you can save up to six times more than with text. Also because of the visualisation you will increase the group memory. You need some very basic drawing, let’s call it doodling, skills to get you started. It’s actually an advantage if your drawings skills aren’t that good, because you’ll be focussed on drawing instead of facilitating and capturing. If you prepare yourself a set of template drawings, you can save some timing and increase your reflexes. Also, you need some fast visualizing skills. I say “target”, you’ll draw …? I say “project document”, you’ll draw …? Is it possible to facilitate and draw at the same time? Yes. But you’ll have to be gifted to do it. A very important part to visual harvesting is not drawing, but listening. Listen to what they are saying and translated it into a comprehensible drawing. If you do need to facilitate and visual harvest at the same time, it’s best to create some sort of template framework up front. For example, for a strategy workshop, you can draw a landscape and a journey from the old situation, to the new one. The content and details can be filled in later. How about mixing harvesting and participation? Is the role of harvester is typically for an outsider? For me it’s the same as when facilitating other workshops like Root Cause Analysis (RCA) or Value Stream Mapping (VSM): if you participate in the discussion it’s hard to stay focused on guiding the process and not diving into the content. You might loose yourself in the discussion and end-up with nothing on paper. How do you know if you did a successful visual harvest? It’s a pitfall to make the most beautiful drawing of a workshop you attended… and end up afterwards with something nobody can understand. You made a successful visual harvest if at the end you delivered something that your customers understand and can use to recapitulate or elaborate. Ending up with a result nobody can understand afterwards (only pictures). Creating very nice and almost perfect drawings. Making corrections to previous drawings. Writing/drawing other things than being said. It’s best to stay neutral and only record. Remark: because you’re in the situation of a professional drawing a picture in a workshop full of professionals, you might raise some eyebrows in the audience, but ignore them and focus on the end result. Afterward the participants will be convinced and proud on the result. Ignoring them will also easy because you’re busy like hell! Strategy movie for organization in change. Where can you get trained? I got the “Visual Changemaking” training by Manuel and Martine, two gifted visual harvesting facilitators respectively from Modelminds.nl and VisualHarvesting.com. Both have experience in many business domains and are very enthusiastic about this technique and it’s possibilities. I plan to use the technique mostly in change management and strategy workshops. At the time of writing I have created two frameworks and facilitated one workshop. 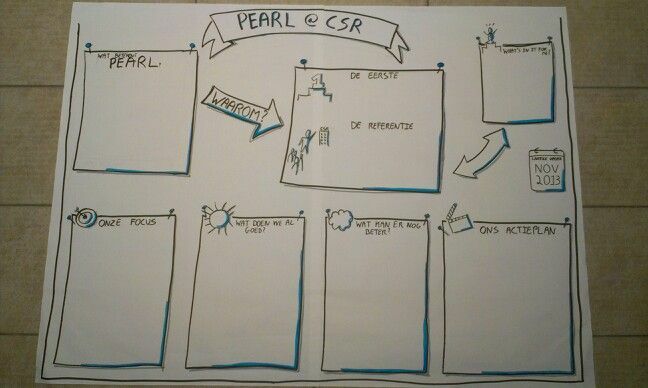 Further, I used the technique for my contribution in a yearly evaluation session of our team and ourself. The technique of visualisation was also apllied in a Future Search exercise on leading trends for creating a timeline, but pictures were used instead of drawings. I also tried the technique while reviewing a book, but quitted after the first chapter. If you don’t have a clear goal about what you’re going to do with the end result, I experience it like a lot of work. So you may wonder: “Why is this summary in text and not visual?”. Good question, I’ll be working on it. When it’s these days all about vision, mission and strategy, we tend to forget that these are only the first steps in process. When you don’t get to the level of concrete behavior, your message will stay high level and abstract. And your people will not act according to it. So one of the challenges is how to translate strategic directives into concrete behavior that can be distributed as behavioral anchors or guidelines. Let’s say you get a new team leader at work and with him, a new vision and mission. Everybody is different and he wants to leave his mark on the team, on the work delivered. In the kickoff meeting of your team, the team leader explains the reason why there’s need for a change and how we are going to do it. “That seems to make sense”, you think. As strategic focus he gives: empowerment and client focus. The first question that probably raises in your mind is: “What does he mean?”. ‘Empowerment’ can be interpreted in many ways and perspective. For some it recalls positive memories, for others bad experiences or disbelief. The same is valid for ‘client focus’. Just take a moment to reflect: do you know any organization where the client isn’t the focus, where the client isn’t important? So what does it imply? What does it mean for us in our specific situation? Tip: take the time to reflect with your team upon the values and the strategic focus. If the message comes from the hierarchy above, you can do two things: wait for higher management to explain it to you, or make up your own mind what it means in your situation. The next step in your thinking process will probably self-reflexion. As we all want to do a good job, we take ourselves up for consideration and ask “What are we already doing (good) in the area of empowerment? Ah, but we’re already doing … and last time we also …”. This is normal. Even as a new team. Tip: start with the things you already do well. Appreciative inquiry taught us that starting with a positive mind will improve your creativity and lead to better and more creative results. Also confirming that some behavior is already good will have a positive effect on the feelings of the group. The next logic step would be thinking the other way around: “What can we do to get better?”. People that are not convinced by the need of the change will not make it to this step. They will be in resistance and rather reluctant to take their own behavior into consideration. Tip: Asking these questions will generate a lot of feedback & output, so your need will need to set focus. Which items are most important and will get priority? You cannot take up everything at once. After you acquired the goods and the bads, the actual work still needs to start! It’s time to assign tasks and setup workgroups for the bigger ones. What does (eg.) empowerment mean in your specific situation? What can be (even more) improved? Set priorities in the ideas gathered. Create an action plan and assign owners and target dates. Make sure you communicate the desired output/result in the beginning of the workshop. To quote Steven Covey: “Begin with the end in mind”. It will increase your chances of actually getting to this output. When there are many strategic directives to discuss, pick your Must Win Battle. If it’s appropriate, you can let the group choose which strategic directive to focus on. It will increase their involvement. Are you working as a teacher? Do you like to teach & help others? Here are ten tips to help you further. At work I was asked to share some tips about teaching (and as extrinsic motivation a talent assessment toolkit, the “Talentbox” of Luk Dewulf, was promised). 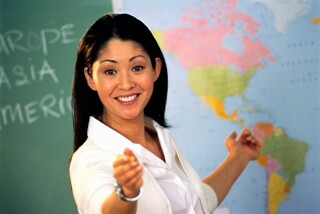 I’ve been teaching since I was a student and continued teaching (in evening school) during my work. I offer these 10 tips from more than 5 years experience in evening school. Your talents may be unknown territory for others. Be aware of this. It’s ok not to know the answer to every question. I always say: “I’m not a robot”. Admit that you don’t know, commit to finding an answer and stick to it. Providing regular and advanced exercises. Letting the best students help the others (in preschool it’s called “mini teacher”). Giving slower students more guidance. Stimulating working in peer (if possible). In courses that take more than one session, start the next session with making a “live” mindmap with the students to recapitulate the topics of last time. If you ask a questions, use the silence. Avoid answering yourself, even if it takes long. In courses that take more than one session, facilitate an evaluation after the first session. Ask if the current format (theory, exercises, review) is suited. This way you give the students the chance to determine the flow of the next sessions. Remark: the typical course if evaluated after the last session, but the participants have no incentive to participate because the only benefit is for the students of the next course. If you want somebody to contribute “more” than the other students, don’t surprise them during the course, but ask them on beforehand if they’re ok with it. Eg. when you want somebody from the legal department to elucidate something. Add a fun element to your course (voting, video, sound, game, assignment, …). Murphy is always present during your lessons. Make sure you test your equipment before the sessions starts. Keep a local copy of your material on the hard drive (instead of the network drive). Do you have more tips to share? Please add them to the comments. Your feedback is appreciated! How would you give a Performance Management training for a very diverse public in an evening course? You better avoid too much one-way traffic and better add some interaction. This exercise uses the PDCA-cycle to build and manage their own small company. I was asked to deliver a training in Performance Management to a very diverse public who volunteered for it in evening school. The challenge lays in creating a course that is interesting, but challenging enough for participants who just worked a full day. Participants who have experience with Lean, but also participants from other sides of the organisation. Theory: To get everybody on the same line, give a short recap or introduction of the Plan-Do-Check-Act cycle. What is the concept behind it? Emphasize that they actually already know and probably practice it (implicit) in their daily lives. Plan: How much do you plan to loose/gain in weight? What is your ideal weight? Can you make it to that in one iteration? Do: What will you actually do or do different for reaching your diet goal? Check: How will you check if you’re doing fine? With what frequency are you checking? Act: What will you do if you make it? What if you don’t? How will you celebrate success? As preparation, go to the Kickstarter.com website and find a few projects which look fun. Create a mission and vision for them. I advise to make such a company for each 3 to 4 people in your group. So with a group of 10 participants, you would have 4 groups (two of 3 participants, one of 4). Theory: Explain the Voice Of the Customer and Voice Of the Business concept. Explain that VOC and VOB need to meet each other. Avoid going to deep into details like interviewing techniques. Exercise: Divide up the group in smaller teams and explain the start-up company concept to them. Explain that you already created the mission, vision and value proposition (as CEO) and they are your management team that needs to deliver results. 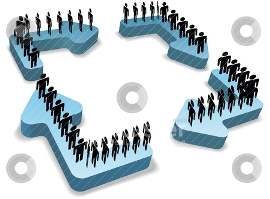 Each participant gets a different role: CEO, head of Sales, Production and Quality. Determine who your customers are, customers’ wants and needs, how you are going to capture these wants & needs, how frequent and when. Also, you need to find out how to get customer feedback. 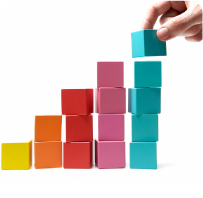 Determine what your business needs are. What does your management want? Determine your short-term (1 year) and long-term (5 year) target. Optional: The facilitator acts as customer and CEO, but is are not direct available: the companies have to ask their question on paper to you (explicitly addressed to the customer or CEO). The facilitator processes the questions in First In First Out (FIFO) mode and responds in person to the team. Reflect: After the round, let the subgroups explain to the rest with an elevator pitch what they got and what they learned. Theory: Explain the roles and responsibilities matrix (RACI), the need for processes and process owners. Exercise: Let the subgroups think about what actions they need do to realize their short and long-term strategy. How will you sell and deliver the end product to their customer? Eg. produce the product, distribute the project, sell the product, etc. Which profiles do you need? Who will take the decisions? Theory: Explain the performance indicators (KPIs), leading en lagging, the link with the roles and responsibilities matrix and KPI trees. Exercise: Let the subgroups think about what they need to monitor the realization of their strategy. How will you measure if they are successful? Are the measurements in line with the VOC and VOB created earlier? Who is responsible for the measurements? Make sure you have result indicators and early warning measurements. Create an example measurement chart. How will you use these measurements to motivate the work floor? Which measures does management need, which the work floor? Theory: Explain the need for giving feedback, problem solving techniques, rethinking the strategy, and meeting structure. Exercise: Let the subgroups think about how to act upon problems. Which problems could occur in your company? Which problem solving techniques do you know? Check again your measurements, are the measurements indicators for the problems that might occur? How will you report to the CEO? Which meeting structure do you need? At this point, your participants are trained in (the basics of) creating a performance management culture. It’s impossible to handle every related topic, but they made time to reflect about the subtopics. Make sure you give them handles for follow-up: documentation, tutorials, websites, etc. In “The five dysfunctions of a team” Patrick Lencioni describes the five characteristics of highly effective teams (trust, conflict, commitment, accountability and attention to results), as ultimate competitive advantage. 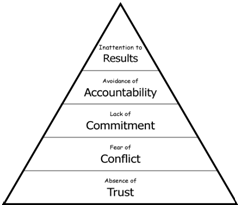 The conclusion of the story is that every team needs these five characteristics and you cannot have effective teams with attention to results without a foundation of trust, conflict, commitment and accountability. Every layer needs to be build on asolid based layer below, just like with a pyramid. While we see the image of the pyramid is regularly used in trainings, on the work floor, …, we also notice thereluctance of taking actions for improving upon it. It all starts with a team assessment to find out where the focus areas are for your team, and an action plan for improvement. A typical work point in teams is the lack of trust, which results in non-constructive or no conflict at all. See also blog entry “Get into conflict”. With a question list of only 15 questions with answers on a scale of three you can assess your team effect-ability. Make the first assessment your team only; without interfaces, otherwise the assessment and results will be confusing. Determine and communicate the scope for the assessment to make sure all participants are aligned. Why are you doing this assessment? What do you want to reach with it? Who is considered as a “team”? Is it including the customer? Is it including the one employee that is outsourced to another team for this quarter? I have seen different ways to analyze the results of the assessment. The most important takeaway here is not to overanalyze. Check the average to see how your team is doing on one particular layer. Check the highlights and lowlights. Why are they saying something so different? What is the one thing that needs focus most? A deeper analysis can be done by evaluating not the result of the complete analysis, but the individual questions to make some sort of top 5 of highlights and lowlights with as goal a more focused approach. No need for an assessment and an analysis without an action plan. Making an action plan gives also a clear signal to your team that there’s still work in progress but that you’re also willing to take up the challenge. On what base should you reassess your team? It’s up to you to find the right frequency. There’s no need to reevaluate when there’s nothing taken up from the action plan. 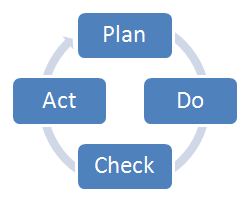 Use the Deming wheel or PDCA-cycle: Plan – Do – Check – Act. The assessment will be your “check” step. The action plan will be your “Plan” step. This week I was asked to help with a problem solving (RCA – Root Cause Analysis) workshop. From my experience with RCA workshops I know that the workshop will succeed or fail from step 1: the problem definition. When I got the actual problem(s), I was overwhelmed. It was not clear to me what the exact problem was and how I would get it to fit into the head of the fish bone (Ishikawa diagram). Even when I applied my task force of six honest serving-men (What, Who, Where, When and How), I couldn’t get the problem sharp. After talking with the participants, other lean coaches and searching on the Internet I got the problem sharp. Let’s share some tips and look at the advantages! Make your problem SMART: Specific – Measurable – Acceptable – Realistic – Time bound. Workshop participants cannot disagree with a SMART problem because you have a measurable specific facts. Try to formulate your problem in an elevator pitch. If you cannot formulate the problem case in 1 to 2 sentences, it’s probably too complex, too blanket or too vague. Check in advance with workshop participants if they agree with your problem statement and if not, what they propose. This way you can avoid (expensive) discussion time during the workshop. Don’t try to capture root causes hidden as effects in the problem definition. Use only five of your six honest serving-men (What, Who, Where, When and How) for your problem definition, the sixth (Why) is covered in the RCA workshop. Focus on the problem and not already on the root causes. These root causes will surface during the workshop. Agree on the problem with the group before you start looking for the root causes. Make sure everybody is focused and on the same page. Hang the problem (formulated in the elevator pitch) on a visible spot during the workshop. RCA workshop can take some time and it’s helpful to have to problem available to refer to in times of need. “Our external vendor is delivering bad work”. “Cooperation with our external vendor is going bad.”. “The external vender has delivered software with many defects because is not working like agreed”. “The external vendor has delivered software with many defects and the analysis was not on time”. “Our external vendor delivered software with 67 defects in the database layer for software release X on May 2nd and because of it the cost rose with 10%”. “The project documentation is unclear and not up to date, so is not used by new team members”. “Project documentation in the maintenance team is not sufficient for training new team members which leads to twice longer orientation times”. Everybody is on the same page. Focus. The problem is a (measurable) fact and no assumptions are made. There’s no discussion about the existence of the problem. Because the problem is a fact, it’s an issue that needs to be resolved. 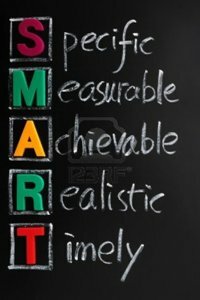 If your problem is defined SMART, you can measure the effectiveness of the solutions you find & apply. How would you bring a concept like advanced problem solving to an audience of experienced leaders and managers from various areas, including ICT and Business? I decided to dive into the deep part and tried it. Without big success. Nobody did their preparation and in the other case the process brought along was only familiar to part of the class. – Which offers insight into the area of problem solving. – Where every participant can relate to. – Which is challenging enough for experienced participants, but not too challenging for non-experienced participants. After some experiments and with feedback from participants & peers, I found a concept which meets all demands: Value Stream Mapping… with coffee and pizza. Your family in law (6 persons) is on a visit at your place. You have a classic coffee machine (not a full automated George Cloony Nespresso machine) and all needed materials & products to make coffee. Your coffee beans still have to be grinded. Making coffee is a simple process which is familiar to all participants, even the ones that do not drink coffee. With making coffee there’s not much to do in parallel or in a different order, so it’s a great case to map the process in a very limited time. Even though it’s a simple process, many things still can go wrong. There’s one disadvantage: there’s not much to improve in parallel flows, so it covers only a part of the theory. You are the owner of a pizza house and have to make a pizza Hawaii. Pizza is also familiar to all participants, even the ones that do not like pizza. But making pizza is more complex than making coffee. Even when every group has the same end product, they will all make it in another way, but not too different way. This will result in discussion in the group about the order and preconditions, but the result of the different groups can also be compared. There’s some value here in trying to understand the others’ point of view. We start with a small piece of theory. Review of the group exercise: what went good/bad? What did you learn? What will you do different next time? Create high level value stream (SIPOC). Create detailed level value stream (VSM). Find measurements to see if your improvements are working. Tape or magnets to attach the brown papers to the wall. Create a few empty brown papers for each group. These brown papers have to be large enough to capture the process, but small enough to make it harder for them. Divide the class up in groups of about 3 to 4 participants. Notify the class that some “unexpected interruptions” may occur during the exercise. Making the fire alarm go off (not the real one!). Taking the dominant group member to a (supposed) meeting with the GM. Letting a group member fall sick (time-out for x minutes). If you notice there’s chaos in the group, assign a facilitator with as only task… facilitating! Every round the group will have to reassign a new facilitator. After each round, review the group experience. After each round, review the role and experience of the facilitator. Pay attention to the level of detail of the VSMs to make sure every group has the same tempo and end result. Challenge the participants. Are those all critiques? Aren’t there any other solutions possible? Working together in a group to solve a problem. Working with the correct level of detail. Thinking about how to measure success. Learning to evaluate and improve. Why should I do this exercise? It will help you explain a tool and way of working on a pleasant and easy way. If you make your presentation good, you’ll cover all learning areas: seeing, hearing, by viewing examples and experiencing. I’ve received some good feedback after the workshop/course, so I would say: try it out & let me know what you learned from facilitating it! Are you looking for another fun lean exercise? Check the “Lean Cup Factory” blog! 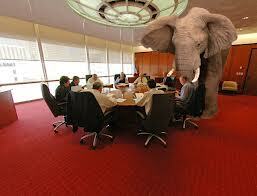 For some reason, I see/hear elephants hidden in management literature I read and presentations I attend. Once you’ve noticed it, you start becoming aware of it. This blog provides a elephant metaphor summary for you. Elephants can build up a memory over the years and hold on to it. The lead elephant plays a key role and because she has time to build up a social knowledge, the others depend on her. The female may remember good feeding places which can replaced by crops in time, and this is how human-elephant conflict emerges. In the end, the elephant always loses. The text above describes exactly the same way as our brain works (see blog entry “Creasophy – the teachings of creativity“). During the years we have learned ourselves a special way of working. When success is accomplished our brain rewards us for it. After several years we have created our own neural highways to success. A similar metaphore used for this is the one of “Five monkeys, a banana and corporate culture“. The metaphor is used to explain that change is not easy and it will take time. If a problem is so big and obvious you cannot do anything else then discuss it with the group, people say there’s an elephant in the room. This is rather self explanatory: if there’s something that big in the room, you are almost obliged to bring it up for discussion. There’s no need to find excuses. The problem is there, everyone is aware of it and it needs to be discussed. Now. Eating an elephant is taking on a large problem. The act alone is almost impossible, so you need a separate approach. The solution for eating the elephant is slicing it into manageable pieces: slicing the elephant. Just like when creating estimations for big projects (see blog entry “From guesstimate to estimate”), you can divide up the challenge and creating estimations for the smaller parts. Making estimations for smaller parts is easier and you still have the wanted end result: an estimation for the whole picture. Change goes together with resistance. The metaphor of the rider and the elephant expresses how emotions can overrule rationality. The rider is the rational side of man, the elephant expresses the emotional side of man. The rider wants to go somewhere, but he has to control his emotions. It looks like the rider is always in control, but because of the difference in size, the impact of the rider is small. When the emotions run out of hand, the rider looses control and no rational reasoning will help calm the emotions. The emotions are like an elephant on the loose and the first thing to do is to get the emotions back under control. The metaphor helps to understand and relate to people who are in resistance during change efforts. When their emotions take over, there is no need to provide rational arguments: they will not be able to take over control. That’s about it for elephants.